India will submit its targets for the Paris climate agreement in about one-month-and-a-half after hectic parleys within ministries, with the industry and others. The announcement will capture the revamped energy efficiency targets the government is planning to set for large industries. 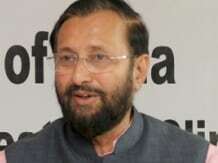 In parallel to the target setting exercise being finalised domestically, Environment Minister Prakash Javadekar is slated to attend the Major Economies Forum on Climate Change hosted by the US and an informal meeting of around 40 ministers being called by the French government, ahead of the climate negotiations this December. Both these meetings are meant to find common grounds on which countries can move ahead by December with only about a week of negotiating days left before countries meet in Paris for the annual round of climate talks where the agreement will be finalised. The target, in climate negotiation jargon, is called Intended Nationally Determined Contributions (INDCs). These contributions are meant to be anchored in the new climate agreement that will be stitched together at the negotiations in December in Paris. Speaking at a dialogue with the industry organised by Ficci, Environment Secretary Ashok Lavasa said the government was close to deciding its INDCs. He revealed that the government was already revising the National Mission on Enhanced Energy Efficiency where both, the kinds of industries covered and the targets given to them, would be enhanced. The up-scaled mission had earlier got an in-principle approval of the prime minister’s council on climate change after Narendra Modi chaired the first meeting of the group in this January. Speaking at the meeting, Ravi Shankar Prasad, joint secretary in-charge of climate change at the environment ministry, said the government was also preparing a list of technologies that would be essential for the Indian industry to take enhanced actions to reduce carbon emissions in the next decade. The Indian INDC is expected to cover all areas and not just mitigation (reduction of emissions), such as adaptation, climate finance, technology and capacity building needs of the country. Lavasa said out of the 45 odd INDCs submitted so far to the UN Framework Convention on Climate Change, studies showed that the “numbers offered by the developed countries are not ambitious enough though the developing countries are showing innovation in the way they present their contributions”. Prodipto Ghosh, ex-environment secretary and c hair of Ficci’s Climate Change Task Force, said key issues such as equity and how the targets would be legally bound remained unanswered as yet. Prasad said one had to face the reality that the targets being offered by Paris would not be enough to keep the rise of global average temperature below two degrees by the end of the century. He said it was going to the challenge before all countries. Lavasa and Prasad both noted that the failure of developed countries to fill the gap between their commitments and actions between now and 2020 would have critical implications for the Paris agreement, which is to look at climate actions beyond 2020. Prasad stressed there was a difference between aggregate assessments of how the numbers (to reduce emissions) added up to meet the two-degree target and individual countries being asked to up their domestically determined targets. “These are considered two separate processes and so far there is no scope in the negotiations for individual countries being asked to individually enhance their nationally-determined contributions before 2020,” he noted. Prasad again reiterated that India and many other developing countries were not at the stage to suggest a year at which their emissions would peak. He said, “Many developing countries, including India, do not foresee peaking in the near future and deep decarbonisation is heavily correlated to technologies and finance made available.” Lavasa also noted that India was actively looking for clean coal technologies as coal would continue to be a substantial part of India’s energy mix in coming years.